After 18 months of negotiating, Iran has come to a preliminary agreement with China, Russia, France, UK, US and Germany (P5+1) on Tehran’s nuclear program. But what is Iran giving up to seal the deal and how can it benefit in the long run? What is it? The process of turning uranium found in the ground into nuclear fuel that can be used to create nuclear energy, or potentially a nuclear bomb. Why is it important? To build a nuclear bomb, uranium needs to be enriched to about 90 percent. The 3.67 percent agreed by Tehran means it would be practically impossible for Iran to build a nuclear weapon, but would allow it to use nuclear material for peaceful purposes. The outcome: Iran gets to keep its nuclear program, albeit a limited one, while the likes of the US now know it will be much harder for Tehran to build a bomb. Why are they important? The 6,000 or so centrifuges Iran has been allowed to keep are first generation and not the technically-advanced modern versions. This is like comparing a regular family car with a Formula 1 car, with Iran getting the former. If Tehran wanted to build a bomb now, it would take a very long time. The outcome: Israel and US Republicans wanted Iran to give up all its centrifuges, while Barack Obama was originally prepared to let it keep 6,500. What are they?Uranium is the key ingredient necessary in order to operate a nuclear program. Once it has been enriched, it can be used to generate power or create a nuclear weapon. Why are they important? By giving up 97 percent of its uranium stockpiles, Tehran has effectively given up any possibility to create a nuclear bomb. The outcome: By reducing its stockpiles, Iran has increased transparency with the International Atomic Energy Agency (IAEA), while also making a commitment to use its nuclear program for peaceful purposes. What is it? The IAEA is an organization that promotes the peaceful use of nuclear power and is against the building of nuclear weapons that are used for military purposes. Why is it important? 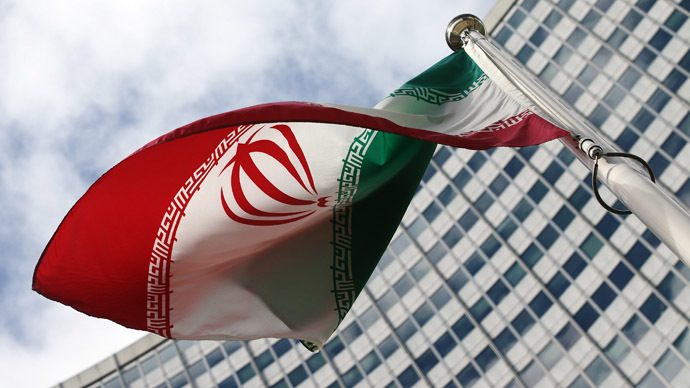 This will allow the international community to see if Iran is keeping its end of the bargain. The IAEA will be able to monitor everything concerning Tehran’s nuclear program – from the reactors to the materials, such as uranium and centrifuges. The outcome: With such transparency in place, it would be almost impossible for Iran to develop a nuclear weapon without getting caught. What are they? The latest sanctions were introduced against Iran in 2006 after Tehran refused to halt its uranium enrichment program. Why are they important? Sanctions introduced against Iran have had a devastating effect on its economy. Areas such as oil and gas have been affected, while Tehran’s finance sector was also hit. This made it difficult for to trade on the world market, while areas such as Iran’s aviation industry suffered, as they were unable to get spare parts from the US and the West. The outcome: The sanctions will only be fully lifted once Iran has proven it has stopped its nuclear enrichment program. Once they are lifted, it will be a massive boost to Tehran’s economy as it will increase trade and see new investment into the country. If Iran keeps its end of the deal, the West will know Iran’s nuclear program is peaceful. For Tehran, it will be able to produce nuclear energy, while also be showing to the Iranian public that it has not caved in to the demands of the US and its allies. The nuclear deal reached between Iran and the P5+1 group (China, France, Russia, UK and US) and Germany is a victory in diplomacy. However, it has the potential to destabilize the region, with Saudi Arabia and Israel both wary of any thawing of relations between Iran and the West. Riyadh has already stated it wants its own nuclear program, while Israel’s relations with Washington have hit their lowest point for years.